Fly Fishing is taken over by Fly Tying. What a great opportunity to correct the wrongs from last season. Oh joy! The bitter cold winter is setting in as quickly as spring came this year. Sadly the fly fishing season has ended, but now the fly tying season starts. Why not start with a short recap of the flies that worked really well this year? Of course there are the parachutes, the comparaduns and the CdC Midges. They are standard in every flybox. This year I found some great new flies that’s worth sharing my thougts on. Let me share a couple of patterns. Tying instructions are provided in links. The Ephemerella Aurivilli is the earliest of he mayflies that attract the large trout to the surface. This year was a peculiar Aurivilli season. They came late and were few in numbers, even in places where the usually come in plenty. Anyhow. This year I left the traditional emerger in the fly box, and switched to a Flymf pattern. This fly floats just in the film, not under. Actually that’s how the real Aurivilli emerges and hatch. Treat the fly with floatant and off you go. If it’s slow, try to drown the flymf and fish it like a nymph just below the surface. 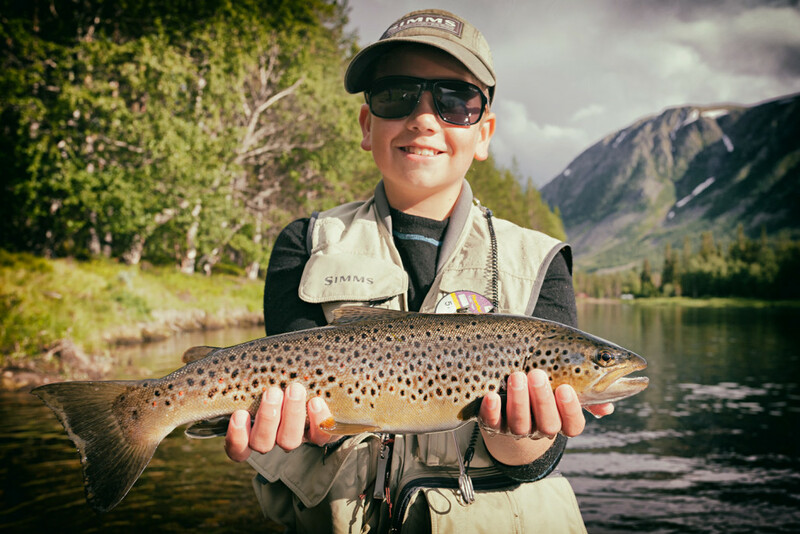 Works wonderfully – especially in the wet fly swing. 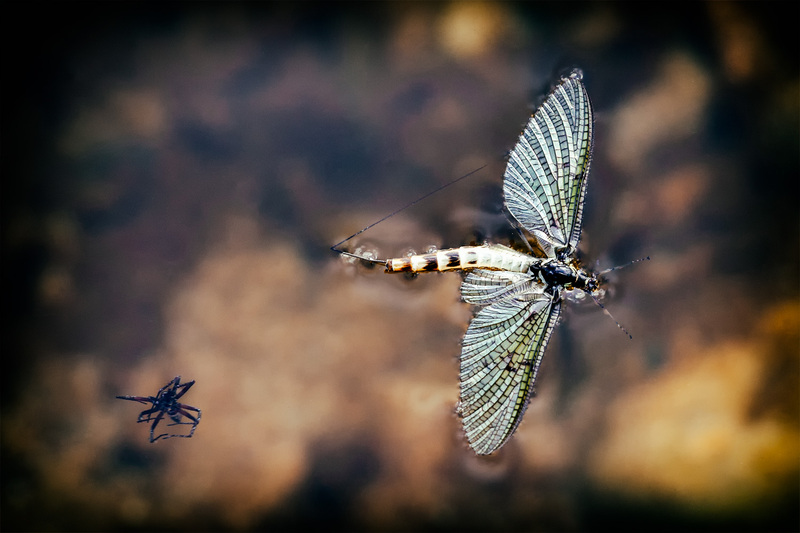 The Ephemera Danica (The Mayfly or the Green Drake) is the largest mayfly on Norwegian rivers. It’s sister, the Ephemera Vulgata (the Brown Drake), is almost as big and lives in still water. One common problem when tying the spinner and dun versions, is that it gets to big and starts propelling on the leader or tippet. Therefore, one often use an extended chenille body to overcome the problem. This summer I went the opposite way. Used a long shafted TMC 200R in size 10, and tied the spent Danica with hackle wings and a segmented body from ordinary dubbing. The fly does not propel at all, and catches fish. The hackle wings also make the fly pretty durable. I tried several sizes, but found that the fish gladly takes a size 10 hook, although it should be size 8.